Milford, NH – When Azusa Pacific University was looking to replace their presentation and playback system with a full conferencing system, they turned to dB Media Group to design and install the system. Azusa Pacific University has seven locations—its main campus in Azusa, CA and six satellite campuses around Southern California, in addition to offering online courses. The university is in its first phase of the project, completing two rooms to serve as an evaluation of the conferencing system, which they plan to deploy to all of the satellite locations and throughout the university. The first room is a conference room in the administration offices of the School of Nursing at Azusa Pacific University’s main campus. The conference room is connected via 1080p video over the internet to a satellite location classroom based in Monrovia, CA. The addition five satellite locations are currently able to join calls via a local computer. 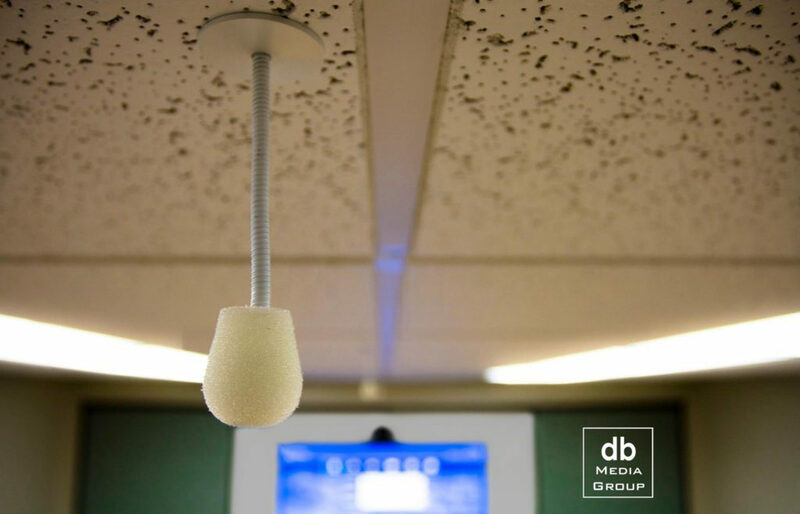 The university had four main requirements for the microphones for this installation: good quality, unobtrusive, good coverage for the large classroom, and as there was no option to get wiring to the conference table in the small conference room, the microphones needed to be ceiling mounted. Room 2 is a classroom located in a satellite location in Monrovia, CA, in which 10 Earthworks IM3-W microphones were installed in the drop ceiling. “As a classroom, the room is mainly used for teaching and presentations, and now will also be used for remote teaching and lectures. The Earthworks microphones in the room are there so the students can be heard by the remote presenter and have live interaction,” explain Burdett.